The highlight of this year’s event was sharing the wealth of sheep research that is conducted at Ohio State, but more specifically, the research conducted at OARDC. At the opening of the event, Dr. Francis Fluharty shared the history of the extensive sheep research that is conducted at Ohio State. He expressed that many people may not know that a lot of sheep research is in fact done in the state of Ohio, but assured that by the end of the day everyone in attendance would know. After opening remarks were made, it was off to the barns and fields to listen to the information that the speakers had prepared to provide. On the research side, Dr. Francis Fluharty started by walking producers through the research feedlot barns to talk about feedlot barn design, animal performance, and air quality. Dr. Fluharty provided insightful recommendations, especially for those who are considering building a feedlot for lambs. He expressed that air flow and quality is of high importance. Dr. Fluharty also stressed the importance of providing quality mineral to all life stages of sheep in a production system. The following speakers were Dr. Jeff McCutcheon and myself. 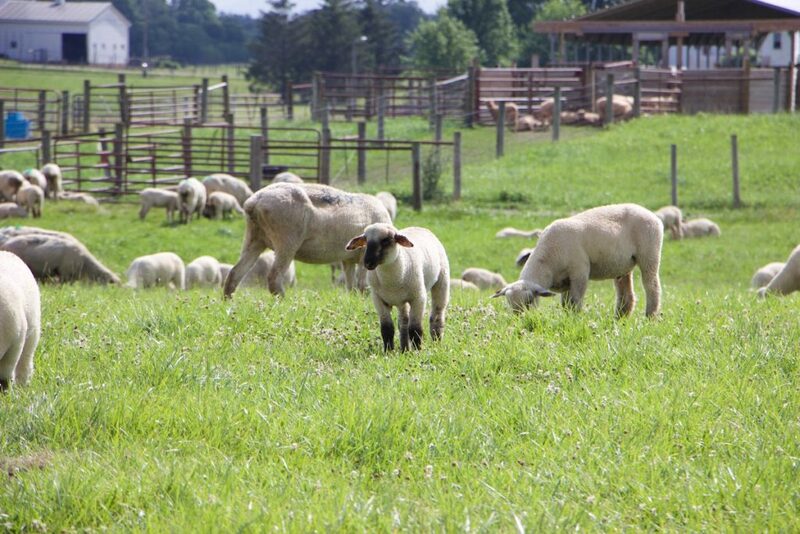 For our portion of the research update, producers were led out to a field of grazing ewes and lambs. At this point, I had the opportunity to share my Master’s research on delayed weaning and the concerns we continue to face regarding parasite resistance. I shared the significant findings of my research trials by polling the audience. One of the biggest findings from my delayed weaning project was that weaning lambs housed on pasture at 120 days resulted in greater body weight gains when compared to lambs weaned at 60 days of age that were either placed into the feedlot or onto pasture. The additional major finding from my Master’s work was the long term carryover of Cydectin de-womer. Through our study, we discovered that moxidectin remained in the system of the sheep and was excreted in the milk at 157 days post treatment. This a of great concern as this may further contribute to the increase in parasitic resistance. In addition, Dr. McCutcheon and I expressed the challenges 0f managing sheep on pasture as internal parasitic infection becomes more of a concern. Dr. McCutcheon provided advice upon how to address production losses associated with parasitic infection. Furthermore, Dr. McCutcheon was eager to share the development and use of our in house built elutriator, a device used to filter parasite larvae from forage. In addition to the research sessions, members from Extension, OARDC animal management, and USDA Wildlife Services were also present to share information with those in attendance. Bob Hendershot, Green Pasture Services, and Rory Lewandowski, OSU Extension Educator, led producers through the paddocks at OARDC to talk about pasture management and how it relates to forage growth. They expressed that maintaining a high stocking density allows for the pasture to be utilized more consistently, and therefore does not promote the growth of weeds or undesirable forages. Members from the OARDC sheep unit, Doug Clevenger and Roger Shearer, shared practical sheep handling skills. Doug and Roger demonstrated the use and expressed the importance of the units handling facility. For those in attendance that were new to sheep production, Roger also offered a beginners session where he demonstrated basic sheep handling skills and care such as hoof trimming. To wrap up the days events, Tommy Butler with USDA Wildlife Services was present to speak about predator control, and more specifically on the hot topic of black headed vulture. Tommy provided producers with information on how to control for black vultures as well as the steps necessary in order to receive a permit to create an effigy. 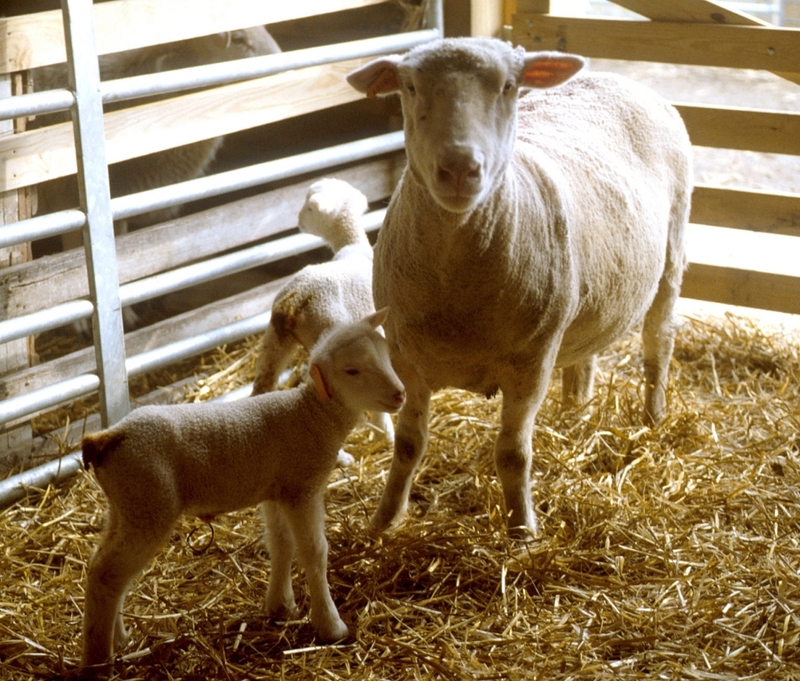 The next Ohio Sheep Day is scheduled for the summer of 2018 and will be hosted by the Eastern Ohio Agriculture Research Station in Caldwell, OH. More details on the event date and scheduled speakers will be provided at a closer date.